Three new-to-me authors, three eye-catching pretties, three upcoming contemporaries full of potential. Looks like these three run the gamut from a used bookstore to a London television set to a 90s rock band. I will have no problem making those stops. As always, fingers crossed. 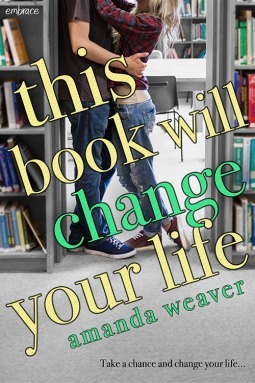 I feel like the font choice could have been more inspired here, but I will never not pick up a book with a couple kissing in a library. Never. And so. We have Hannah who is struggling with her college choices. And we have Ben who works in a used bookstore and is feeling trapped within familial expectations. I approve of this message. I believe this one was published previously in the UK, but with a far inferior (or at least less cute) cover. I'm fond of this black and white and pink cover with the ascending hearts. 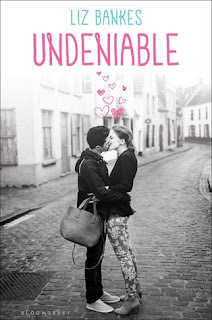 Undeniable is being recced for fans of Stephanie Perkins and features a girl named Gabi who flees heartache, lands an internship with a TV show in London, and falls for a cute extra. Unsurprisingly, drama ensues. And now we have my favorite title of the lot, no contest. The cover's no hardship to look at either. This is Ms. Brown's debut novel about 90s indie rock frontgirl Emmylou who makes the mistake of falling for her guitarist. Fame, of course, threatens it all. 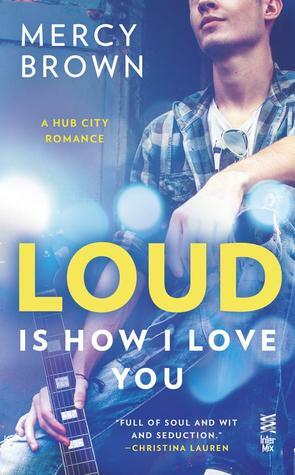 It sounds as though the author's own experiences informed the story. To which I say, excellent.